Many of our loyal Naked® customers have been asking for us to provide accessories that can help them achieve their personal goals. We decided to respond by first introducing our state-of-the-art collapsible flasks and Drink Tube Kits. Our flasks come in two sizes - 350 ml and 500 ml - and feature a soft, high-flow bite valve so you don't lose a drop and a wide mouth cap for easy access and cleaning; and each bite valve has a dust cover for even better hygiene. And now made of tough thermoplastic polyurethane (tpu), the flasks are bpa, phthalate and pvc free, and made from recyclable materials. They also feature a printed volume scale (in ml and oz) so you can monitor your fuel mix and consumption rate. Most importantly, they shrink in size as you use them to save space. We are pleased to introduce our innovative drink tube kit that transforms your flask into a complete reservoir hydration solution! 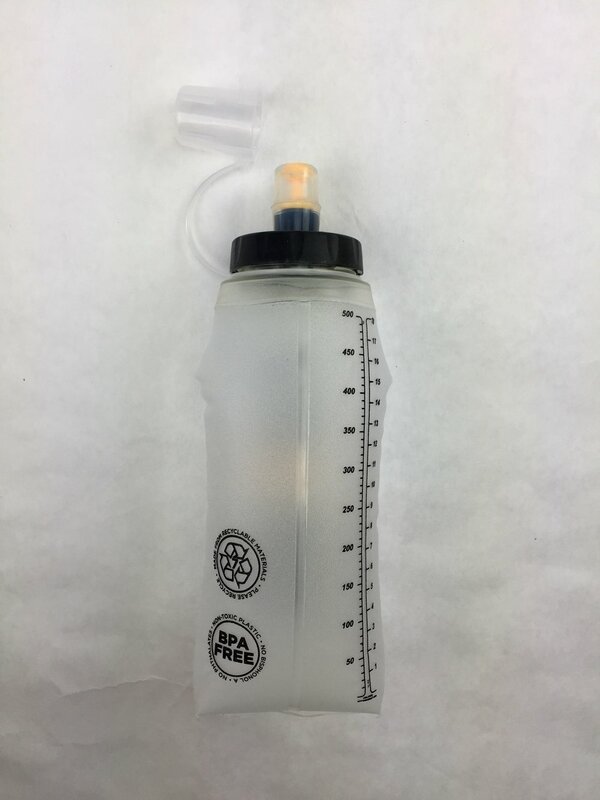 Each includes a 90mm tube with locking, angled bite valve and wide mouth cap that fits both of our soft flasks . Before using, make sure to not cross thread cap while screwing on or over tighten cap. For best results, hand wash the flasks and tube kits with mild detergent in warm water prior to using for the first and do the same thing before each use. Do not wash in dishwasher. It's a good idea to occasionally lubricate the cap and flask threads with with small amount of food grade cooking oil; be sure to wipe excess. When not in use keep cap loosely tightened on flask. If over time you notice your flask "yellowing" this is normal due to the materials used to make the flask flexible. Because this material is somewhat porous it can absorb elements that may be in tap drinking water and sports drinks' ingredients. This is normal and is certainly not unhealthy or dangerous. We recommend using Bottle Bright and following their instructions to renew and restore. 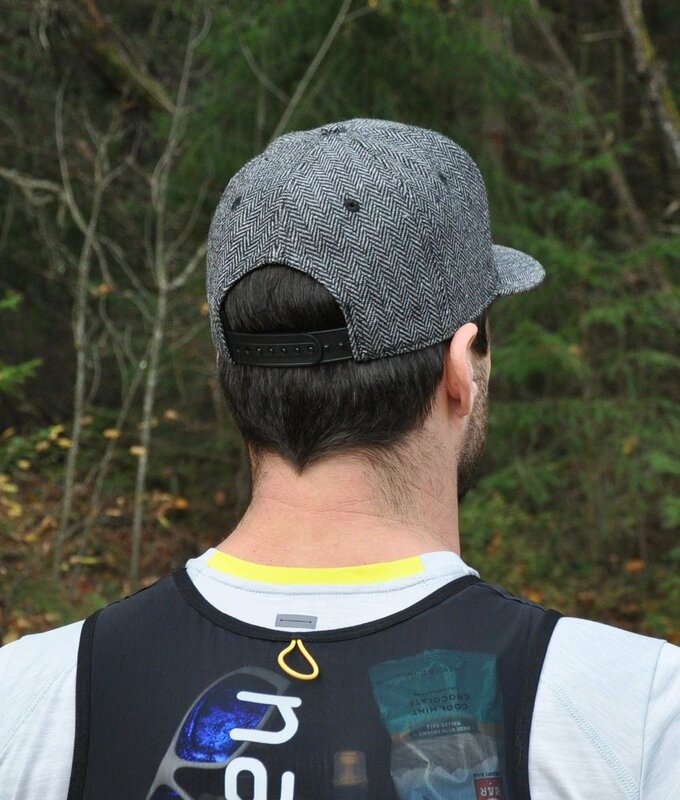 Display your street (or trail) cred by wearing the cool new unisex Naked hat. Made from a fine wool blend in classic grey herringbone, the hat sits in the sweet spot between a baseball cap and a truckers hat. The hat has a snap back for adjustability. The bill comes in a slight curve with just the right amount of attitude. The Naked logo is embroidered in robust, raised lettering. The Naked® headband for men and women continues our tradition of innovation. Designed and made in a wide width, using non chafing flat lock stitching, the headband will keep even the most unruly of hairstyles away from your face. Patented Schoeller Coldblack ® material is used for its effectiveness in cooling. To facilitate cooling even further, we have implemented an internal rear pocket for the placement of ice or cooling pads. One size fits all.